You have to be a system administrator to enable gamification in TeamGram. Go to ‘Control panel’ from the left menu and click on ‘Gamification’ under the feature settings. 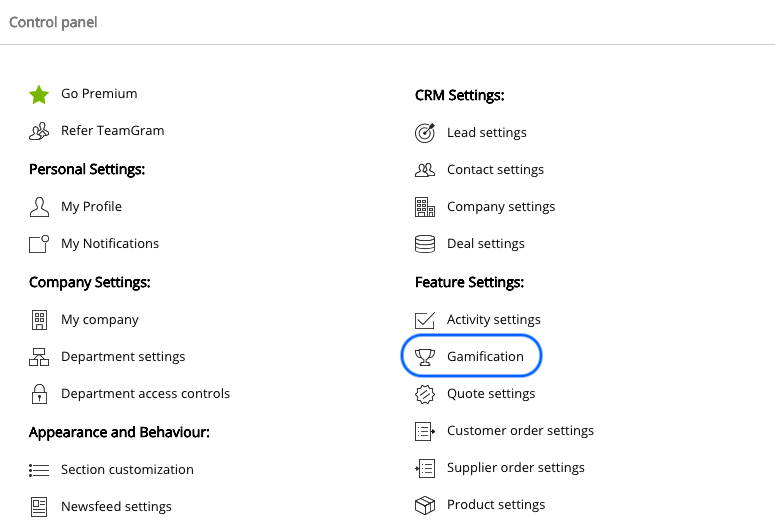 Enable gamification by clicking on the radio button. Turn on the next radio button if you want to publish the game results in the news feed. ‘Rules’ and ‘Badges’ tabs will become visible in gamification settings when you enable gamification. Use these tabs to create game rules and badges. 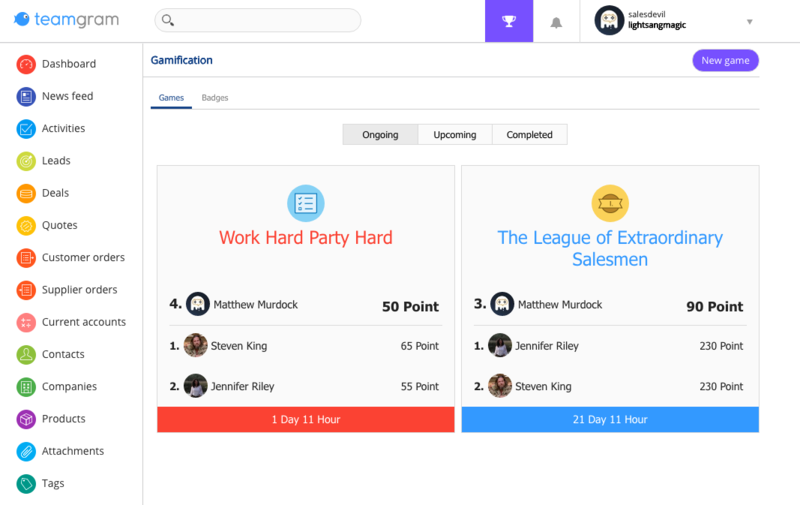 TeamGram Gamification starts with default rules and default badges, you may always edit them or create new ones. * When enabled, a Gamification icon will appear on the top right corner in TeamGram next to the notification icon. Click on this icon to start games, view details about ongoing, upcoming and completed games; check out earned badges and your progress for active badges.